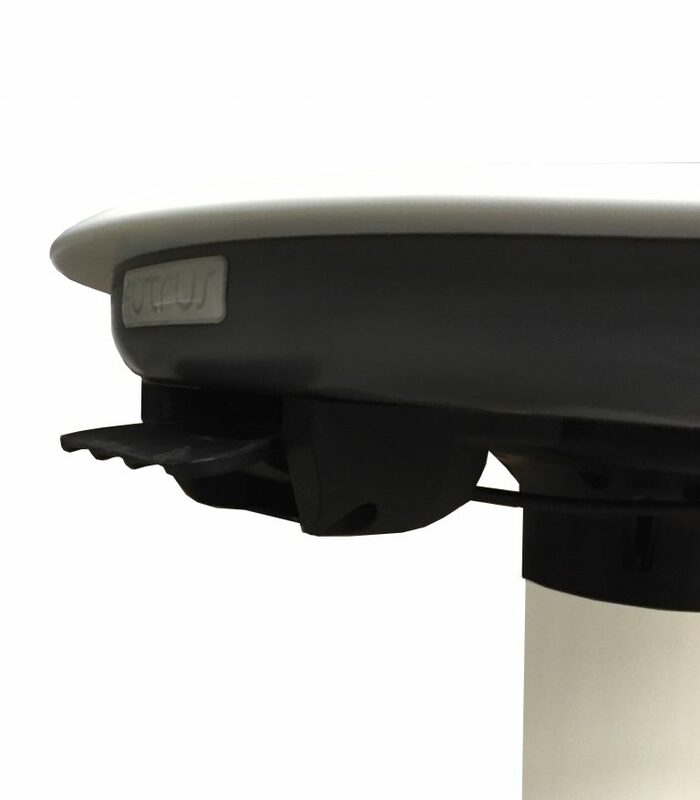 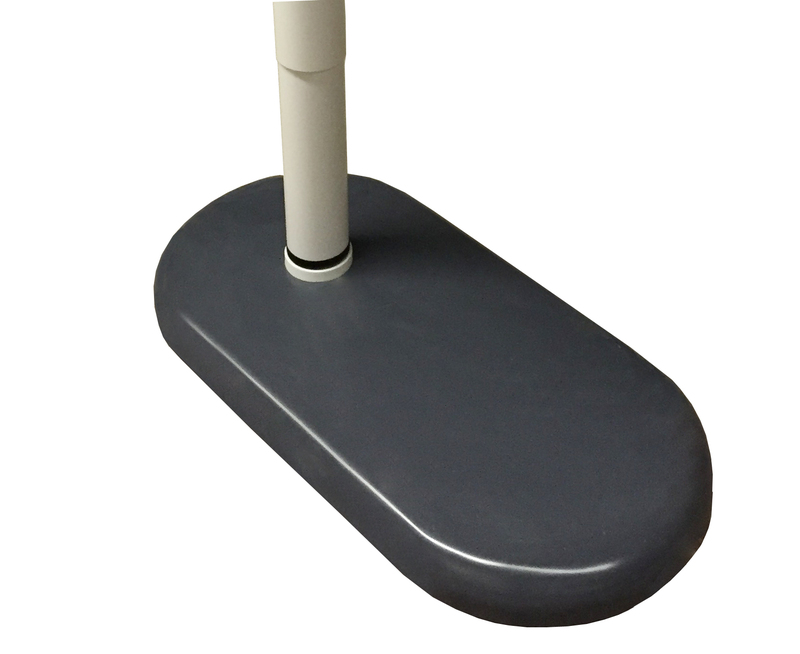 A highly durable, multi-purpose mobile table that supports infection control. 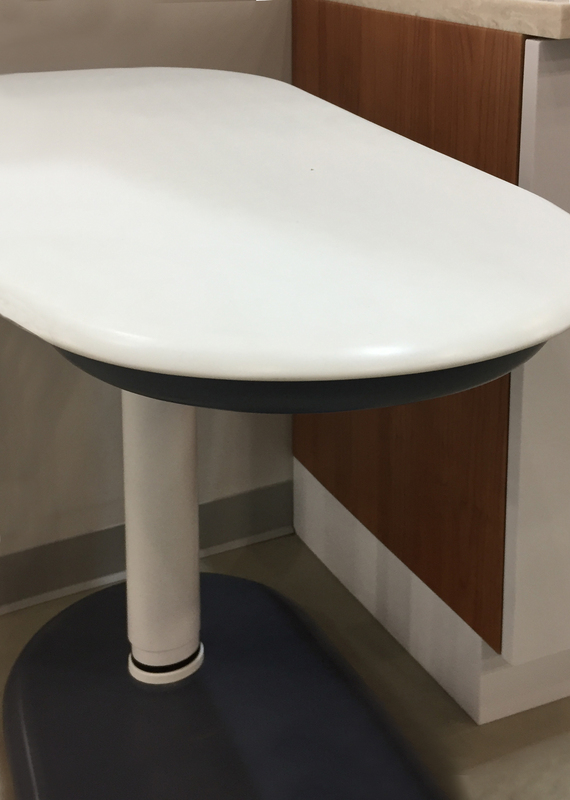 The table top is made from seamless, bleach cleanable Corian®, which is GREENGUARD® certified to resist microbial growth to help reduce HAIs. 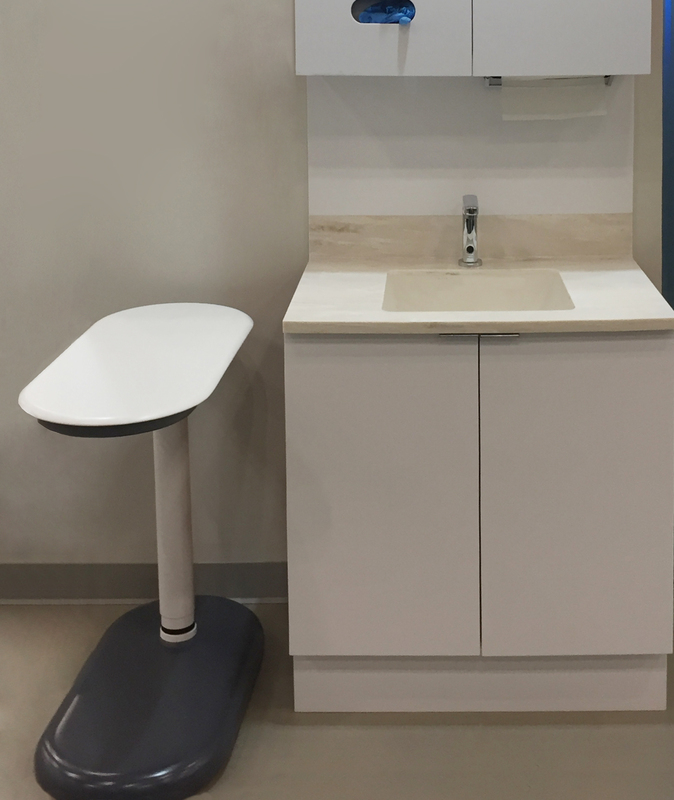 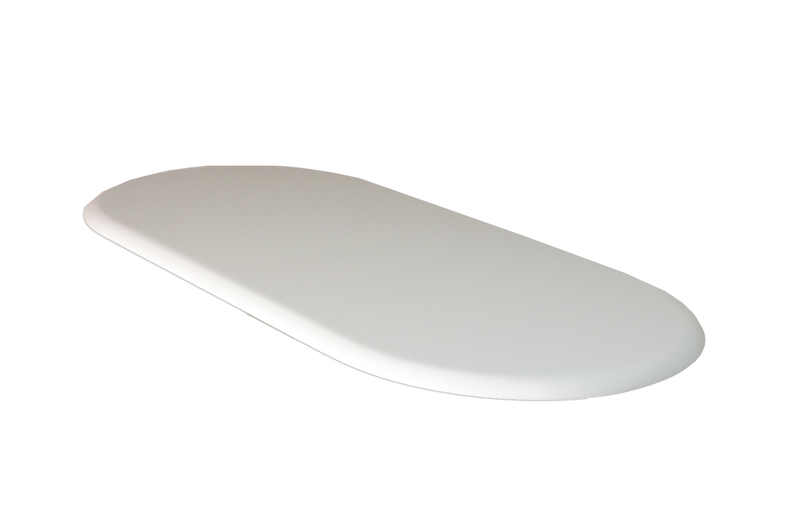 The Corian® table top also resists chipping, peeling scratching and staining for greater life cycle. 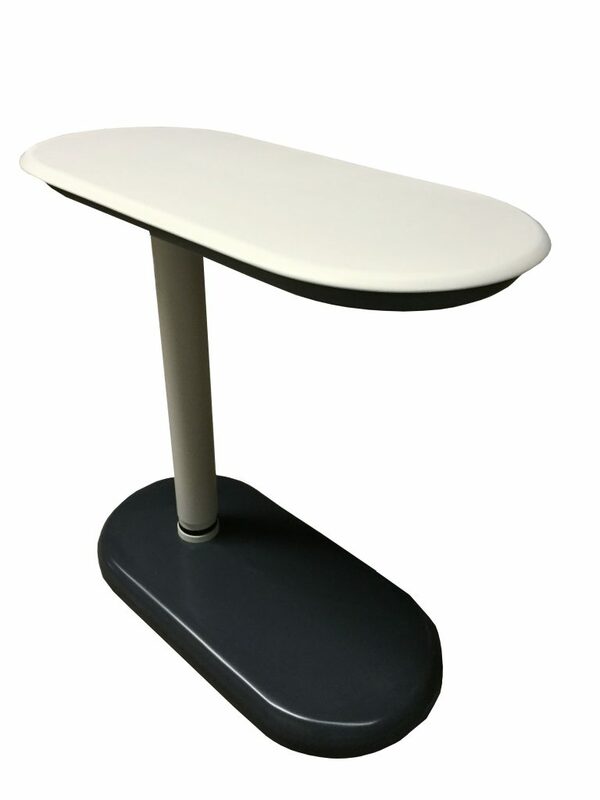 Features include an ergonomic contoured table top edge for comfort, height adjustable column and choice of furniture glides, recessed casters and locking brake.